Oh, MAC False Lashes coloured mascara, you&apos;re so pretty in your packaging. But won&apos;t you make me look like a grown-up lady trying to be a tween? And besides, what colour would I wear? With what eye shadow? And where? When we heard Staff asking these questions while looking at our photos, we knew we had to get her some help. We also knew MAC Senior Artist Caitlin Callahan could provide pro guidance on how to wear coloured mascara well. Coloured mascara became a thing again thanks to Stella McCartney&apos;s Fall 2012 runway show, and seems to have stuck around. 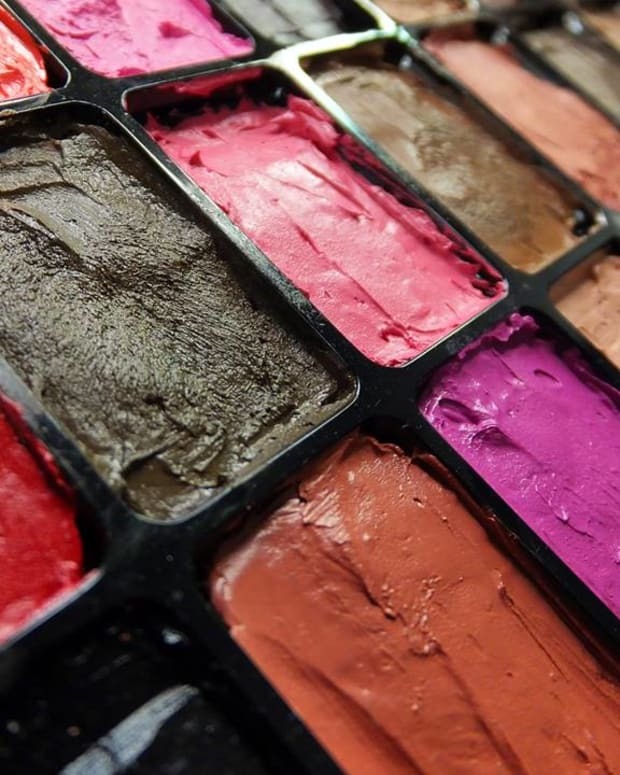 Brands such as YSL, Make Up For Ever, Chanel and MAC have released a number of shades in recent collections. Yet, like Staff (don&apos;t tell her), we confess: we&apos;re still wondering how to wear coloured mascara without looking silly. What&apos;s the best way to wear coloured mascara? Do we just pick a shade and apply it with our usual eye makeup? Caitlin Callahan, MAC Senior Artist: I love coloured mascara! The best way to show it off is to wear with a pale or neutral shadow. If you are trying it out for the first time, you may prefer a more blackened colour in general, such as navy, burgundy, plum, evergreen. Then the colour is more subtle but still shows up (especially outside in the sunshine). Can coloured mascara enhance the colour of your eyes? 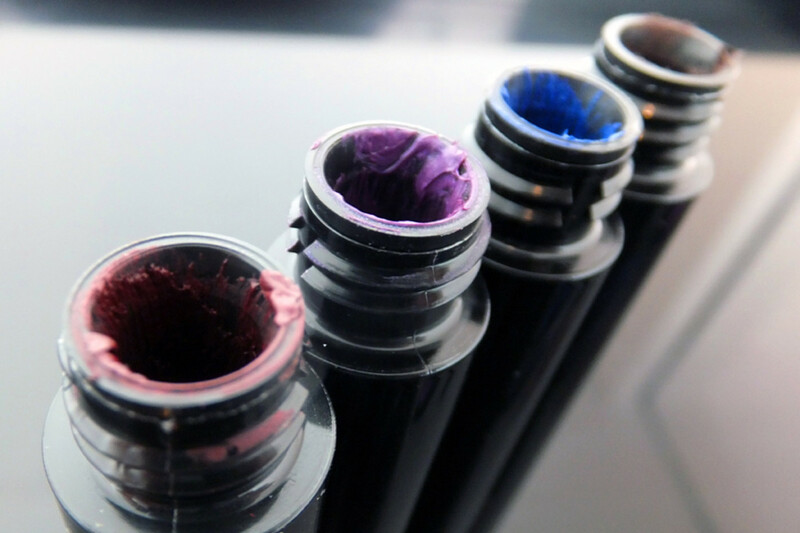 Coloured mascaras can enhance the colour of your eye if you go with a colour-wheel opposite: blue eyes use plums, green eyes burgundy, and brown eyes with navy. Should you match your eye liner to your mascara? Matching your liner with the mascara is great! It just makes the look more dramatic and flash. Is coloured mascara appropriate for, say, the office? Or is it about individual style? The bright mascaras can be a bit much for the office -- they can be distracting. Go for the more blackened colours for day. But... it depends where you work! Can any eye colour work with any colour of mascara? Any eye colour can work with any mascara. My eyes are blue and if I wear blue mascara there&apos;s more colour going on for sure, so I like to save that for when I&apos;m feeling colourful. I use plum for my everyday colour. Okay, I&apos;ll say it: I&apos;ve never been into coloured mascara, not with my dark eyes. I&apos;ve seen how burgundy looks with green eyes (it&apos;s amazing), but for myself I just couldn&apos;t be bothered. Now Caitlin&apos;s tips make me want to try. Staff&apos;s encouraged, too, that&apos;s for sure. MAC False Lashes coloured mascara ($25 at MAC counters and boutiques; maccosmetics.com) is available in Artificial Aubergine, Plum Reserve, Blue Charge, Counterfeit Brown and False Black. It&apos;s available right this minute until the collection sells out. If you&apos;ve seen this post too late to pick up your favourite MAC False Lashes shade, have a look at Butter London&apos;s four electric mascara shades. 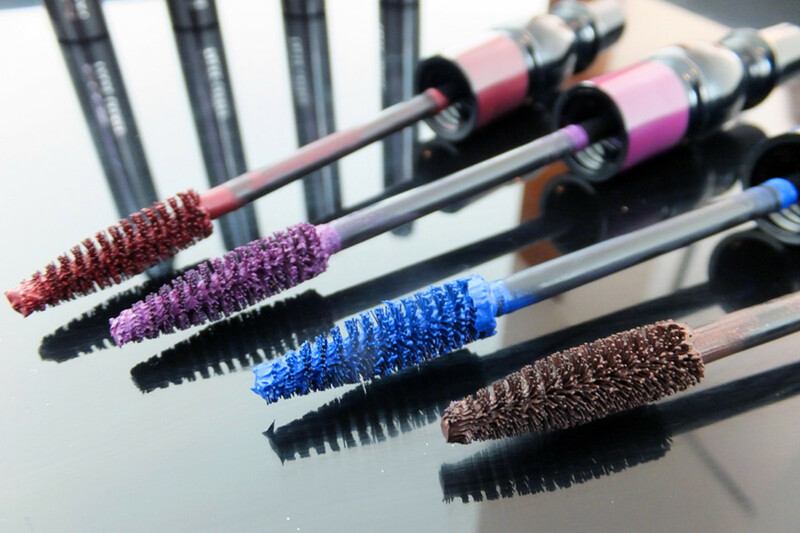 Do you ever wear coloured mascara?